Does the Astrodome redevelopment need air conditioning? I hadn’t thought about this, to be honest. As work continues on the initial stages of preparing the Astrodome for its new life as a parking and events venue, Harris County Judge Lina Hidalgo raised questions last week about the costs associated with redeveloping the former sports stadium. Harris County’s new judge, who recently toured the property with officials from NRG Park, said she learned that the $105 million the county allocated to the redevelopment project did not include air conditioning. Hidalgo declined to comment further, but current and former county officials said the renovation costs were never meant to include traditional air conditioning. Rather, the climate inside would be maintained by a mechanical forced-air ventilation and convection-based system designed to keep the inside of the building more temperate when it is hot or cold outside. “The thought process was that further phases would bring in air conditioning,” said County Engineer John Blount, who is managing the project. For Ed Emmett, Hidalgo’s predecessor, the Astrodome project was never about nostalgia, but to keep the integrity of the NRG complex intact. The county has a contract with the rodeo and the Texans to maintain NRG Stadium in first-class condition. “Those tenants are going to start coming to the county saying we need this or that upgrade. There’s no revenue source to provide those upgrades without the Dome,” Emmet said. “My purpose from day one was to create nine acres of indoor space protected from the weather, where it would be preferable than being outside,” Emmett said. I mean, it kind of makes sense. It just has to be cool enough, and contrary to popular belief it’s not always summer here. Seems a little weird to be talking about it now, but whatever. Work will get started after the Rodeo. According to Ryan Walsh, executive director of the Harris County Sports & Convention Corporation and NRG Park, the final phase of asbestos abatement is scheduled to get underway at the Dome next week and should continue until the end of the year. The work is being done by county engineers deep in the walls of the disused landmark. “That work will take several months up until the rodeo moves in,” Walsh said Wednesday. Construction on the project is expected to end in February 2020 and Walsh said this week that soon he will receive a more detailed construction schedule for the months and years ahead. After the Houston Livestock Show and Rodeo concludes its 2019 season more intensive work is expected to begin on the Dome. The rodeo has “gate to gate” coverage of the NRG complex during rodeo season. I for one am looking forward to seeing what this finished product looks like. I’m also looking forward to an end of the griping about what has and has not happened to and for the Dome, what should have happened instead of this plan, etc etc etc. Not that any of that is likely to happen, but I still look forward to the end of it. It’s got a marker and everything. More than 56 years after ground was broken on what would become the world’s first domed stadium, the Astrodome is now a bonafide recorded Texas historic landmark. Installed on the stadium’s southwest end, a Texas State Historical Marker it will be visible for years to come just yards from neighboring NRG Stadium. The $2,000 price tag for the marker was picked up by the Houston Astros, who called the Dome home for decades before moving to Minute Maid Park across town. The Dome has already been declared a state Antiquities Landmark and is on the National Register of Historic Places. The marker further solidifies its place in history and its permanence. The text mentions the part that the Dome played in the aftermath of Hurricane Katrina, when it housed 16,000 refugees from the violent storm that hit New Orleans. The 2017 state antiquities landmark designation provides special safeguards against demolition and requires Texas Historical Commission approval for any future changes. See here for some background. I know some people don’t like the Astrodome redevelopment plan. Like it or not, your choices are the plan that’s been approved, some other plan that has not been vetted or approved, and going back to doing nothing and letting it rot. Which, now that I think of it, may be expressly forbidden by this latest designation. Point is, the Dome ain’t being demolished. Get used to it. It’s quite the historic place. The famed Astrodome will be designated as a Recorded Texas Historic Landmark — the highest honor the state can bestow on a historic structure. The marker will finally and officially tell the story of the “Eighth Wonder of the World” and, hopefully, create a snapshot destination. “The dome has never had an actual historical marker,” said Mike Vance, a member of the Harris County Historical Commission which is the local arm of the Texas Historical Commission. The Texas commission approved the stadium in January among 172 new historical markers statewide for 2018. The Astrodome received its strongest protection in a 2017 state antiquities landmark designation, which requires clearance from the Texas Historical Commission for any alterations. Becoming a Recorded Texas Historic Landmark adds another measure of protection. In addition, the sign’s unveiling will be “something tangible and visible,” unlike the antiquities designation, Vance said. So let’s get a couple of things straight at this point. 1. There’s no way the Astrodome gets demolished. You can argue that it was wrong to pursue these historic designations, and you can argue (incorrectly) that the Dome should have been demolished after the 2012 bond referendum was voted down, but those ships have sailed. The Astrodome is basically in the same class as the Alamo now. It’s not getting demolished. 2. Given #1, that means the choices before us are Do Something, and Keep Doing Nothing. It should be clear to all that nobody wants to Keep Doing Nothing. Ed Emmett certainly doesn’t want to do nothing, and the people who are most vocally opposed to the plan that Emmett has put forward are the ones who are most vocally upset about the state of the Dome now after years of nothing being done. Nobody wants to do nothing. 3. So, one way or another, we are going to do something about the Dome, and that means that one way or another we are going to spend some money on doing something about the Dome. The something that is on the table and currently in progress is the Emmett plan. One argument being made by those who don’t like the Emmett plan is that we should have a public vote to approve spending money on the Dome before we do so. I oppose this for two reasons. One is that we don’t as a matter of course have public votes to approve the spending of money by government entities. We vote to approve the borrowing of money, but not the spending of money. I have zero interest in setting that precedent, and I can’t think of a single reason why anyone of a progressive bent would want to set that precedent, either. And two, public votes like this have become little more than preludes to litigation over the result of those votes, often on ridiculous pretexts and often taking years to resolve. You want to ensure that nothing continues to get done on the Dome for another five or ten years, maybe more? 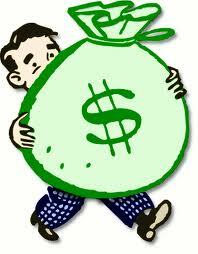 Insist on a vote before authorizing any money to be spent on it. It’s more effective than any filibuster. Lisa Falkenberg lays it out. But here’s the thing: leaders have to balance today’s needs with tomorrow’s. The long view has its virtues. And frankly, it’s been all to absent in the decision-making of Houston and Harris County. Shortsightedness has gotten us into a lot of trouble – from poor investment in flooding infrastructure to irresponsible growth that increased the region’s vulnerability during storms and rain events. It has led us to pave over prairies. To bulldoze historic architecture and old trees and character. And yes, to leave an expensive, beloved, world-famous landmark with a lot of tourism potential rotting away in full view of visitors and homefolk alike. So, sure, it may seem tone deaf to pour money into the Astrodome right now, but the decision seems to be in tune with Houston’s future needs. And critics of the decision either don’t understand the facts, or willfully ignore them. So let’s address the naysayers, point by point, with a little help from Emmett, the county judge. *CLAIM: Harris County voters already voted to demolish the dome. No, they didn’t. They voted down a proposed bond for a much bigger $217 million renovation project. They said loud and clear that they didn’t want county commissioners borrowing money to fund a dome project, and Emmett says the county listened. He says the stripped-down plan to raise the dome for parking and open it for special events makes financial and logistical sense, as it will produce revenue, and also provide space for first responders during a storm, and potential storage for the medical supplies during those events. “Would you really want us spending $35 million to tear down a perfectly usable building?” Emmett says he asks people who bring up the vote. And he points out that demolition is no longer an option anyway, since the Texas Historical Commission has designated the Astrodome a state antiquities landmark, giving the stadium special protections against demolition. See here for some background. As you know, I think this is a decent and workable plan. I expect people will disagree with that – Emmett’s Democratic opponent Lina Hidalgo has made the “voters rejected the bond proposal” and “we have other priorities” arguments on Facebook. I believe the case for it is sound, and I appreciate Falkenberg laying it out as she did. If you don’t see it that way, take what she wrote as your starting point and take your best shot from there. Next year, Astrodome lovers will be able to once again take a gander at the stadium’s iconic roof before it embarks on its next adventure. During a mixer/meeting for friends and supporters of the Astrodome Conservancy, organizers revealed that a party to honor the Astrodome’s history is tentatively set for April 9, 2018. In a fitting touch, the mixer was held at the 8th Wonder Brewery. The party would be much like the 50th birthday bash held for the stadium in 2015 when nostalgia for the Dome was at a fever pitch. Fans were able to walk onto the floor of the Dome and see what it currently looks like inside. Thousands of Houstonians came from all over the city to take in the view and take selfies. The party itself won’t be in the Dome, but fans can wait in line to walk inside for a few minutes. More plans for the 2018 party are still to be solidified, with more programming and entertainment details to follow. One presumes this will be to help generate support for the Astrodome repurposing plan, whatever that winds up being. Would you be interested in attending this party? Leave a comment and let us know. Mayor Turner has one more item to deal with this November. Mayor Sylvester Turner is poised ask voters to approve bonds this fall to fund improvements to city parks, community centers, fire stations and health clinics, adding hundreds of millions of dollars in debt to a crowded November ballot. The proposed five-year capital improvement plan, unveiled at a City Council committee hearing Tuesday, calls for $6.7 billion in airport and utility projects, to be funded by user fees, as well as $538 million in improvements such as expanded police and fire stations, renovated libraries, miles of bike trails and repairs to city buildings to paid for with taxes or philanthropic gifts. The plan relies on a November 2017 bond vote as one of its key funding sources, with about $190 million worth of projects in the five-year plan contingent on approval of new debt. Houston’s last bond vote was in 2012, and the city’s capital spending is expected to quickly exhaust the debt voters authorized then. City Finance Director Kelly Dowe said Tuesday the size of the bond package has not been determined, but Houston typically seeks enough leeway to last a bit beyond any one five-year capital plan. The mayor has pledged to ask Houstonians to repeal a voter-imposed cap that limits what the city can collect in property taxes. That rule is a lightning rod for conservatives, who spearheaded its passage 13 years ago. Turner’s landmark pension reform bill, which takes effect Saturday, also requires voters to approve the $1 billion in bonds Turner plans to inject into the under-funded police and municipal pensions. Should voters reject it, those groups’ substantial benefit cuts could be rescinded, hiking the city’s costs overnight. Adding a general bond issue to the ballot alongside the pension bonds and what amounts to a tax hike is risky, said Jay Aiyer, a Texas Southern University political scientist professor. First of all, “what amounts to a tax hike”? Leave the spin out, please. Four of the five bond issues in 2012, which totaled $410 million, passed with at least 62% of the vote; the fifth drew 55%. That was a very high turnout context – there were over 400K votes cast for each item – while this year will not be. Even if the Supreme Court intervenes and puts city elections on the ballot, far fewer people will vote this year. Still, bond issues usually pass. Especially if there aren’t city elections, all of these issues will come down to how successful the Mayor and his team are at getting the voters they need to come out and support him. I would push back on the notion, as expressed by the Chron’s Rebecca Elliott, that having these bond issues makes the November ballot “ugly”. We are basically talking three items – revenue cap change, pension obligation bonds, and these bonds, though they will likely be split into multiple smaller items – in an election where there may be no city candidates on anyone’s ballot. Remember, there will be no Metro vote or Astrodome vote – what we have now is all we’re likely to get. Frankly, unless the Supreme Court sticks its nose in and orders city elections this fall, the number of votes people will be asked to cast will likely be smaller than what it usually is in an odd-numbered year. In addition, only the revenue cap vote is one that will be in any way complex – we have bond issues all the time, people understand them, and the pension obligation bonds are just a special case of that. Ugly to me will be having a bunch of campaigns put together on short notice and sprinting towards the finish line with far less time to do the sort of retail-politics outreach that most city candidates get to do. YMMV, but if what we have now is what we end up with, I’ll consider it a relaxing stroll. Campos has more. A Senate committee voted Monday in favor of a bill that would require Harris County residents to approve a county project to renovate the Astrodome by raising its floors and installing parking underneath. The bill could effectively could torpedo the county’s $105 million project to raise the ground level two floors to fit in roughly 1,400 parking spaces. County officials had said when the proposal was unveiled in September, that the plan would make the Dome suitable for festivals or conferences and usher in potential commercial uses in the more than 550,000 square feet that surrounds the core. It had been viewed as a potential saving grace for the aging stadium, designated earlier this year a state antiquities landmark. State Sen. John Whitmire is looking to put the brakes on the renovation plan, saying Harris County voters should weigh in. See here and here for the background. The later version of the Chron story notes that Judge Emmett testified against the bill, not that it made any difference. I still think this is dumb and unnecessary, but all of the Senators who represent Harris County are coauthors, so I figure its passage in the upper chamber is a formality, and in the lower chamber a strong likelihood. What that means in November – in particular, who shows up to support this forced vote, and who shows up to oppose it – will add another dimension to an election season that’s shaping up to be a lot more interesting than we might have expected. Swamplot has more. Not for this we don’t, anyway. Less than five months ago, the future of the Astrodome seemed to be more secure than it has been in the decades since it hosted its last Astros game, with Harris County commissioners moving forward on a massive renovation project they said would usher in festivals, conferences and commercial development to the aging stadium. Now, that future again might be getting hazier. Veteran state Sen. John Whitmire, D-Houston, said Friday he plans to introduce legislation next week that would require the county to hold a referendum on its $105 million project to raise the floor of the stadium and create 1,400 parking spaces, a move many thought would be its saving grace. Citing concerns about how the county is spending taxpayer dollars, Whitmire’s move is the latest in a series of skirmishes over the stadium, the world’s first multi-purpose domed stadium for sporting events. It comes more than three years after voters rejected a $217 million proposal to turn the Dome into a street-level convention hall and exhibit space, which many believed doomed it to demolition. “I’m trying to allow the public to have a vote, the taxpayers to have a vote, before we spend over $100 million on the Dome with no stated purpose,” Whitmire said. Emmett said he had not heard about Whitmire’s plans to file the bill before Friday. Gov. Dan Patrick could not be reached for comment. But state Sen. Paul Bettencourt, a Patrick confidante and Houston Republican, said he supports Whitmire’s proposal. He said he took issue with different components of the funding, saying that some of the funds used for the $105 million project could also be used for other facilities, like NRG Stadium. See here and here for some background. I do not support this bill, whatever winds up being in it. We require a vote when a government entity like Harris County wants the authority to borrow money via bonds, which was the case with that $217 million proposition from 2013. We do not require a vote on individual budget items, any more than we require a vote on (say) the county’s budget as a whole. We elect people to write those budgets, and if we don’t like the way they do it we can vote them out. Requiring a vote for how a county government spends county money is a gross incursion on local control, which is something we’re already had way too much of. I will not support this. Now to be sure, part of the problem here is that the stakes of that 2013 referendum were never made clear. “The people rejected this specific plan that was put forward to rehab the Dome” and “The people rejected the idea of rehabbing the Dome and want it demolished instead” are both valid interpretations of that vote. Commissioners Court and Judge Emmett did not communicate to the public what their intentions were if that referendum was voted down as it was, and as a result we have been in a state of confusion since. Many ideas continue to be put forth for the Dome, which has since gained Historical Antiquity status, making demolition that much harder to do if that’s what we wanted to do. There’s no clear consensus. That may be the best argument for requiring a vote, but it’s still a violation of local control, and any such election would occur in either a low-turnout context (as in this November) or one where it was overshadowed by other campaigns, as would be the case next year. I say let Commissioners Court move forward with what they are doing, and if you don’t like it take a lesson from your friends and neighbors who are busy raising their voices on many other issues and tell the Court what you think. Isn’t that the way this is supposed to work? Swamplot has more. The aging behemoth billed as the Eighth Wonder of the World has joined the revered ranks of the Alamo and State Capitol as an honored historical site. Just days before a crowd of more than 70,000 files past for Super Bowl LI in neighboring NRG Stadium, the long-vacant Astrodome has won the coveted designation as a state antiquities landmark. The distinction – which has been awarded to the Alamo, the Capitol and the Cotton Bowl, among others – brings special protection against demolition for the nation’s first fully enclosed, domed sports stadium. But it won’t hinder the $105 million plan to renovate the once-proud facility, which has been officially closed to the public since 2009, officials said. The Texas Historical Commission voted unanimously Friday to grant antiquities status, which had been sought for nearly three years by two Houston-area residents who hoped to preserve the facility. “I was jumping up and down and running around my house telling my husband and everybody when I saw it on Twitter,” said Cynthia Neely, a writer and film producer who along with former Exxon engineer Ted Powell of La Porte filed the voluminous application, paid the fee and lobbied around the state to save the dome. The designation will mean the dome cannot be “removed, altered, damaged, salvaged or excavated” without first obtaining permission from the commission, officials have said. This process got started back in 2014, though it’s been in limbo since then as well. I’m not sure what the practical effect of this designation is since there are no current discussions about demolishing the Dome, but if that does ever come up again, it will be a lot harder to do. In the meantime, the parking lot plan moves forward, presumably with the blessing of the Historical Commission, and the Dome will play a minor part during the Super Bowl. So at least there’s one nice thing happening in the world. Swamplot and Houstonia have more. Harris County commissioners on Tuesday chose Kirksey Architecture to design a project to retrofit the Astrodome by raising its floor and installing parking spaces underneath. Commissioners designated the Houston-based firm as their top pick to conduct the architecture and engineering on the $105 million renovation of the Dome, a sweeping project that could secure the stadium’s future by using it for event or commercial space. “This is doing the engineering, moving the whole process forward,” Emmett said. The architecture and engineering – the first phase of the overall renovation project – is expected to cost around $10.5 million and take roughly a year. Kirksey Architecture still has to be awarded the final contract, which will finalize the cost of the first phase. County officials said that vote could come in January. Kirksey Architecture has designed many commercial, residential and public properties around Houston, including the YMCA building downtown and the 26-story luxury Belfiore Condominiums in Uptown. The firm has also done work for Harris County, including the restoration of the historic Sylvan Beach Building in La Porte that was damaged by Hurricane Ike. See here for some background. A lot of people are skeptical of this project. It seems reasonable to me, but you do have to wonder why it took so long to get to it. Easy to say in retrospect, I suppose. I look forward to seeing what the official designs eventually look like. Organizers have nixed a proposal to use high-tech lasers to project dazzling images of Houston’s culture and history onto and through the roof of the Astrodome during Super Bowl LI. Harris County Judge Ed Emmett said the NFL turned down the proposal — the brainchild of two recent Rice University graduates — over security concerns of having people enter and exit the dome around game time. “We have not finalized plans, but this remains under consideration,” McCarthy said. Emmett said officials were briefly considering holding a reception in the dome during Super Bowl festivities, but that’s not happening now, either. He said the Dome will mostly be used for storage and staging purposes during the sporting event. A Super Bowl host committee spokeswoman said “there will be no official events at the Astrodome” during Super Bowl weekend, and said she had no information about how the Astrodome might be used during Super Bowl weekend or why the light show was nixed. See here for the background. Too bad, this sounded like a fun idea to me, but you know how the NFL is. Maybe some of us can get together before the game, hold up lighters, and sing “Another Brick In The Wall”. It’s the thought that counts. Harris County commissioners approved the first piece of a $105 million plan to transform the stadium into part parking garage and part event space for things like concerts and trade shows. After years of indecision, advocates for preserving the Dome are hailing the move as one that might breath new life into the stadium’s future long after many Houstonians had written its obituary. The $105 million plan, first unveiled by county officials in June, calls for the floor of the Astrodome to be raised two floors, or 30 feet, to ground level. Two levels of parking or 1400 spaces will be installed underneath. The new ground floor could be used by conferences like the Offshore Technology Conference, or for music festivals or other events. Officials from OTC wrote a letter earlier this month in support of the plan with the Houston Auto Show, Houston International Boat, Sport and Travel Show and the Houston Ballet Nutcracker Market, a ballet fundraiser, among others. In the future, the 550,000 square feet that surrounds the core could be used for retail, commercial or other options, though none have been determined yet. No events have yet made any formal commitments to use the re-purposed dome, a point acknowledged by Precinct 1 Commissioner Gene Locke whose precinct includes the Astrodome. “I’m more confident that doing this is better than doing nothing,” he said. Despite Tuesday’s vote, not everything is final. [County Judge Ed] Emmett and other county officials believe as the $105 million project enters the design phase, the overall price tag will go down, especially if other funding sources like Tax Increment Reinvestment Zone funds or tax credits can apply. But the cost could also go beyond $105 million, something several commissioners have said they will watch out for. Regardless, commissioners will have to vote again likely next year to spend the rest of the money on the actual construction. See here for the preview. To address some things I’ve seen here and elsewhere, the point of this is to begin the process of making the Astrodome viable for other uses, whatever those may turn out to be. The extra parking would presumably make the space more amenable for the Texans and the Rodeo as well, though those two entities have remained firmly uncommitted to the whole idea so far. As there is no money being borrowed to pay for this, there is no need to hold a public vote. If and when we get to a point where financing is needed, then there will have to be a referendum to get the public’s approval to borrow the money – in other words, a bond referendum. While the rejected 2013 referendum was often seen as a vote for demolition, it was in the strictest sense just a rejection of that financing/renovation plan. Not everyone will agree with that last statement, of course. If you’re one of those people, you’ll either get another chance to vote against a bond issuance, or you’ll get to (have to) take comfort in the knowledge that any financing will be done by a private entity. In the meantime, there’s always the possibility that the bill will go up once design phase begins, which may lead to further reckoning. If we get past that with no worrisome cost estimate increase, then Commissioners Court will need to commit to an actual design, of which there have been many. One presumes it would be some version of the Urban Land Institute plan, though that isn’t exactly fully-formed, and besides, the county has gone through Astrodome plans like Spinal Tap has gone through drummers, so who knows what we’d get. For now, what we’re getting is underground parking. At least that is something we can all comprehend. KUHF and Swamplot have more. Harris County commissioners are poised to make their largest investment yet in the Astrodome’s future next week. They are slated to vote on the first piece of a $105 million plan to raise the ground level two floors to fit in roughly 1,400 parking spaces, which would make the Dome suitable for festivals or conferences and usher in potential commercial uses in the more than 550,000 square feet that surrounds the core. A majority of the county’s governing body indicated support for the plan Friday. If approved, it would begin to provide a future for the stadium more than 16 years removed from hosting its last Astros last game. “This is making something happen, finally, with the Dome,” said Harris County Judge Ed Emmett. Tuesday’s vote would be on whether to allocate $10.5 million of the “design phase” of the parking project. If approved, the county would hire an architectural and engineering team and, over 12 months, lay out the blueprints of the overall project. It’s not another study, Emmett said. “No, this is actually doing the engineering to raise the floors, put the parking in,” he said. The county also, for the first time Friday, detailed how it plans to pay for the stadium’s $105 million redevelopment. Budget officer Bill Jackson said about one-third of the project, or roughly $35 million, would come from the county’s general fund, made up largely of property tax revenue. Another third would come from hotel taxes, with the remaining third coming from county parking revenues. These new covered spaces inside the Dome could generate top dollar. Emmett noted the general fund component, around $30 million, is roughly equivalent to the amount the county estimates it would cost to demolish the Dome. In other words, money the county would have to spend even if it wanted to get rid of the facility. Currently, the Dome costs close to $170,000 a year to maintain, Jackson said. There are still several unknowns. It’s possible, Jackson said, that after the design phase, the cost for construction might push the project above the $105 million goal, at which point commissioners would have to decide whether to move forward. What happens to the 550,000 square feet of space surrounding the area where the field was is also still not firmed up. Emmett said it likely will be hammered out over the next year. The plan still would have to be approved by the state historical commission, which currently considers the Astrodome a “state antiquities landmark,” meaning it cannot be “removed, altered, damaged, salvaged, or excavated without a permit from the Texas Historical Commission,” a spokesman said. See here, here, and here for the background. It sounds like the Texans and the Rodeo aren’t fully on board with this, but I don’t know that it’s worth worrying about that. The idea behind this is that once the underground parking is available, then other redevelopment plans for the Dome become more feasible. I guess we’ll find out. The Chron editorial board, which supports the plan, has more. A Houston architect is touting a new idea for the Astrodome’s overhaul, urging the county to avoid an indoor park concept and instead strip the structure down to its bones. The concept, dubbed “A-Dome Park,” is being advanced by James Richards and Ben Olschner, architects who previously worked at Herzog & de Meuron, the firm behind London’s Tate Modern and the Olympics stadium in Beijing. As Richards sees it, Harris County’s current plans for the stadium — essentially, an indoor park and events space — aren’t particularly unique, especially given the proliferation of world-class parks in Houston and abundant event space that already exists at the NRG Center complex. Richards, who moved to Houston in 2014, isn’t a fan of the current concept, with its emphasis on indoor activity, and he thinks the 2013 vote is a testament to the fact that Harris County residents aren’t either. He believes that despite the region’s brutal summer heat, few Houstonians will want to spend their free time within an indoor park — especially given the relatively mild weather Houston enjoys the rest of the year — and he’s skeptical that the plans for vast amounts of plant life inside the facility are realistic. He also doesn’t think restaurants and others vendors on the first floor of the Dome (part of the ULI proposal) will actually be financially viable, based on the number of people who will visit the indoor park on a regular basis. 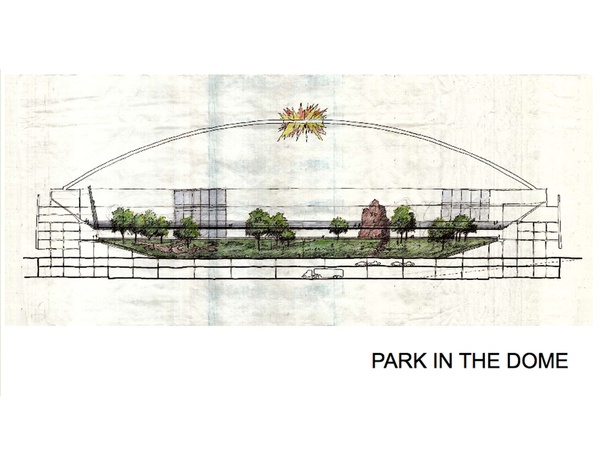 So instead, Richards and his partners on the “A-Dome park” proposal are envisioning something totally different. The idea isn’t to just preserve the Astrodome but to highlight — and even expose — the architectural elements that made it world famous. Richards wants to strip the structure down to its steel bones. The idea is to remove the non-structural surfaces of both the Astrodome exterior and interior, leaving only the dramatic steel frame, which would be painted to prevent decay. The plan, Richards argues, highlights the innovative engineering that went into the dome structure itself while also creating a space that offers a completely unique experience. The A-Dome Park website is here, and you can see plenty of pictures of the proposal at the Urban Edge post. If some of this sounds familiar, it’s because it is similar in nature to Ryan Slattery’s strip-the-Dome-to-its-skeleton idea from 2013. The first comment on the Urban Edge post deals with that, so good look and see what you think. I’m not enough of a design nerd to comment on the merits of one versus the other or the current Harris County plan. I will just say again, generating ideas for the Dome is easy enough – I’ve long since lost count of the plans and proposals that have been floated, and every time anyone writes about the Dome more people will chime in with “what about this…” suggestions. The hard part is finding one proposal that can get enough support to be politically and financially viable, since the stumbling block all along has been how to pay for it. Maybe this is it, maybe the county’s plan is it, maybe it’s something else, who knows? I’m sure Judge Emmett would like to have whatever it is in motion by the time he steps down. Swamplot has more. How does a Super Bowl light show grab you? The future of the Astrodome still might be in the dark, but that doesn’t mean the iconic building can’t return to the spotlight for at least a few minutes. A pair of 25-year-old Rice University graduates came up with an idea to display a light show on the building’s roof that could come to fruition for the Super Bowl in February. The technological feat would use “projection mapping” to cast images of Houston culture onto the ceiling and through the hundreds of windows of the long-vacant Astrodome in yet another effort to redefine the structure as its fate is debated. Beyond the general concept of Houston history, show specifics have yet to be determined. During the demonstration in March, projectors cast Astros and Oilers logos onto the ceiling and even a picture of an astronaut. People could come inside to watch a show, while images also could shine through the roof to the outside as nationally televised cameras pan over NRG Stadium during the Super Bowl, [County Judge Ed] Emmett said, potentially creating advertising revenue. If successful, it likely would be only one of several possible uses of the Astrodome during the Super Bowl festivities, including another proposal to project images onto the outside walls. The two Rice grads, one with expertise in engineering and the other familiar with projection mapping – a technique that uses multiple projectors to cast shapes and images onto uneven surfaces – came up with the light show idea. One of the men, Alex Weinheimer of Houston, said he’s always had an interest in baseball, architecture and history. He said he was watching a Texans game one night when the broadcast showed a blimp passing over the Astrodome with its white indoor lights on. Weinheimer thought that something more could be done with the stadium. He got in touch with Joshuah Jest, and they began working up a light-show concept. Tudor took notice of their work and helped put them in touch with the county. Over the past year, they’ve been working out the particulars of the show on a scale model, Tudor said, until they tested their idea in the Dome in March. “We’ve sort of tried to prove the concept,” Weinheimer said. Sounds pretty interesting. I confess I’m having “Pink Floyd laser light show” flashbacks here, and the urge to make stoner jokes is strong, but I will remain steadfast. Assuming everyone involved approves this, I could see it being a cool addition to the Super Bowl spectacle. 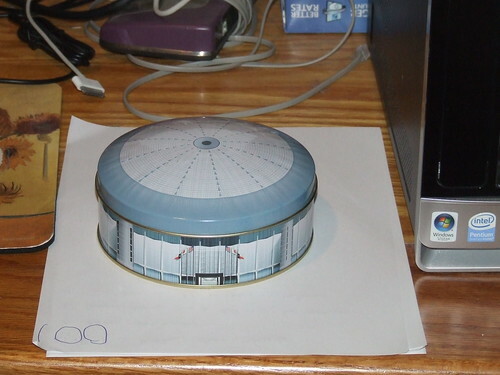 Having a useful purpose for the Dome, even for a one-time event, is a good thing. I wish everyone luck in getting this done. This year’s theme is cooperation and meeting challenges. In his ongoing effort to revive the Astrodome, Harris County Judge Ed Emmett on Tuesday proposed using the aging landmark for an outdoor light show when Houston hosts the Super Bowl next February. Emmett discussed the future of the Ddome and touched on the challenges the county faces in health care during his ninth “State of the County” address before 1,100 business leaders at NRG Center. He floated the idea of a projected light show on the exterior of the Astrodome to coincide with the Super Bowl. Emmett also laid out a long-term plan to convert the nine-acre interior into an indoor park with underground parking or storage and retail facilities above. He also touched on another of his key themes, the county’s duty to meet fundamental health care needs of residents while it grapples with the cost of providing services without help from expanded Medicaid funds that state leaders refuse to pursue. Emmett ended by pleading with business leaders to “push back against those who want to play politics with county government.” People vilify government, he said, but then they expect high-quality emergency services, flood control and a smooth commute. The full speech is here. In his discussion of how senseless it is to reject federal dollars for indigent health care, he recalled his time in the Legislature when some of his colleagues wanted to turn down federal highway dollars because they didn’t want to mandate seat belt usage. It took a visit from Dr. Red Duke to convince them to come to their senses. “We need another Red Duke to bring reason to the issue of indigent health care,” he said. I love the parallel Emmett draws, but I respectfully disagree with his prescription. What we really need is fewer Republicans in Austin, beginning with the Governor and Lt. Governor, who would refuse to listen to what Dr. Red Duke would be telling them. It’s not like we don’t have plenty of other respected authorities – doctors, business folk, economists – who have been saying the same thing. The problem is the hammerheaded and entirely partisan unwillingness to listen. Anyway. As always, the full speech is worth your time; background on the Dome stuff is here. Judge Emmett was introduced by Mayor Turner, which again bodes well for city/county cooperation going forward. Your Houston News and Swamplot have more. The latest plan to save the Dome takes a step forward. Harris County Commissioners Court moved forward on Tuesday with one piece of the Astrodome revival that needs to happen whether or not the park plan is achieved, according to County Judge Ed Emmett. The court asked for an internal cost assessment for building two floors of underground parking, or a large underground storage facility, beneath the ground floor of the Astrodome. Edgar Colon, an attorney who serves as the appointed volunteer chair of the Harris County Sports and Convention Corporation, has been managing this undertaking. He estimated the task force of engineers, architects, designers, cost estimators and financial advisers has logged more than 200 hours on Astrodome conversion planning. He said Emmett took the lead, and the late Precinct 1 Commissioner El Franco Lee also took great interest in the process. Under the broader plan, the Astrodome would remain county property, and the park inside it would be a county park. The conservancy would help raise the funds for the project and assist in designing it. By the end of June, Colon said, the plan for the conservancy’s structure and its role in developing an indoor park should be finalized. But first, Emmett wants to address the more pressing matter of raising the floor of the Astrodome to ground level and making use of the 30 feet of space underneath it. “My first goal is to put the Dome into usable condition, whether it be for the rodeo for their food court or the Offshore Technology Conference, or for festivals, gatherings or merely for picnickers in the park,” Emmett said. See here for the background. Basically, the plan is a public-private partnership overseen by a conservancy, similar to Discovery Green, but with more moving parts. Among the attractions of this setup would be the ability to fundraise as a non-profit, which would sidestep the need to put another bond issue before the public. I can’t wait to see what the structure of the conservancy will look like. One presumes the incoming County Commissioner (the Dome resides in Precinct 1) will take a lead role in getting this off the ground, and one presumes that Judge Emmett, who is known to want to retire after this term is up at the end of 2018, will want to have it well in motion by then. KUHF has more. Today, a coalition of community and labor organizations staged a tour of of sites that received tax dollars to tell the story of how the city subsidizes the creation of poverty jobs. The tour started at the Westin Downtown, formerly known as the Inn at the Ballpark, for which Landry’s received $2 million dollars in tax giveaways, and despite failing to provide the 125 jobs promised, the city council voted to allow Landry’s to keep the incentives. The next stop was at Ainbinder Heights, a development anchored by Walmart, and includes a McDonald’s and Taco Cabana. The city awarded Ainbinder $6 million in tax breaks for property improvements. The agreement between the city and Ainbinder spans 48 pages, yet the city failed to negotiate any specific commitments for the number and quality of jobs or any other meaningful community benefits. The final stop was at the Astrodome, a project that will probably receive tax dollars. County Judge Ed Emmett has traveled around the world to put together a plan for its reconstruction that includes water park, theater & trails. But there is no plan to assure that the jobs created by this project pay well and have benefits. The coalition staged the tour today to so that Houston’s next mayor makes higher wages a priority. That came out the same day as this story about Houston not being the affordable city we are used to it being. High housing costs are a big factor in that, but so are low average wages. Attacking that problem can have an effect on the bottom line as well. There’s only so much a Mayor can do directly about this – we already have an executive order in place establishing a higher minimum wage for companies that do business with the city, thanks to Mayor Parker – but talking about the issue and making it a point in negotiations over real estate deals like the ones cited above are two of them. I’m glad to see this coalition call attention to it. Hurricane Katrina made landfall ten years ago this weekend. The Chron looks at the role Houston played in the aftermath, and the changes that resulted. Before and after Katrina’s Aug. 29 landfall as a strong Category 3 storm, more than 1 million people fled Louisiana and coastal Mississippi. As many as 250,000 landed in Houston – more than 27,000 of the most traumatized arriving at the Astrodome and other Houston shelters in a 500-bus caravan from the drowned Big Easy. By October 2005, approximately 100,000 evacuees temporarily had made Houston their home. Today, perhaps heeding the oft-tendered advice of Katrina-era Mayor Bill White to “look forward, not backward,” as many as 40,000, by some estimates, permanently have settled in the Houston metro area. In the excruciating days after Katrina’s onslaught, Houston responded with open arms. As many 60,000 residents volunteered to help. From a downtown command center, White, assisted by then-Harris County Judge Robert Eckels and business, civic and faith leaders, oversaw a multi-million dollar campaign to house, feed, train and provide health care for the newcomers. For his leadership, White later received the John F. Kennedy Presidential Library and Museum’s Profile in Courage Award. But throughout the city there were largely unremarked instances of kindness. Within weeks of arriving in Houston, the Rev. Gary Mack, a pastor at New Orleans’ Franklin Avenue Baptist Church, was contacted by Houston First Baptist Church with an offer of assistance. Mack was offered use of a chapel to preach to his displaced congregation and a salary. Food and furniture were collected for church members in need. Still, for thousands of the displaced, overcoming Katrina’s hardship was daunting. The storm flooded 80 percent of New Orleans, killed more than 1,800 people in five states and caused more than $135 billion in damage. Federal and private insurance companies paid more than $57 billion in claims, and the Federal Emergency Management Agency pumped more than $131 billion into stricken states for public works and other recovery efforts. By July 2006, New Orleans’ 2000 population had dropped by more than half. And while the city’s population has rebounded to 80 percent of its pre-storm total, vast tracts of low-lying inner city neighborhoods remain derelict and virtually unpeopled. Full coverage from the Chron is here. I don’t have any wisdom to offer here. I’ve been spending the week reading what other folks have been saying about this disaster that was as much political as it was natural. See Jamelle Bouie and this three part series from D.R. Tucker for some of the stronger examples. I also recommend this Urban Edge story debunking the myth that there was a crime wave in Houston following the arrival of Katrina evacuees. I fear we still haven’t learned what this tragedy should have taught us. Texas Leftist, Vice, and TPM have more. What can the Germans teach us about saving the Astrodome? For years, Ed Emmett has been trying to figure out what to do with the Astrodome, one of the world’s grandest and wackiest-looking civic arenas. This week, he is on an expedition to see another of the world’s wacky wonders, a massive blimp hangar at a former Luftwaffe airfield in Germany that has been converted into the world’s largest indoor rainforest. The Harris County judge and two aides have ventured seven times zones into the future to witness how the proprietors retooled their defunct steel barrel-bowl dome — one of the world’s largest freestanding structures — and transformed it into a climate-controlled tropical water park extraordinaire. Emmett made it plain that he planned to fund his “fact-finding” trip with campaign funds rather than taxpayer dollars. He also explained that the goal was not to copy the entire concept of the interior, but rather to debrief the engineer and horticulturist about the basics and talk to the folks who deal with upkeep of the dome’s exterior. An outfit called CargoLifter AG built the domed structure, a dirigible hangar called the Aerium, in 2000. The oblong dome could fit the Statue of Liberty upright and Eiffel Tower tipped onto its side, though perhaps not both at the same time. CargoLifter embarked on “one of the most ambitious projects of German postwar aviation,” according to the German news site WallStreet-online. The idea was to use the hangar as a workshop to engineer a CL160 airship that could handle deliveries of oversized and heavy objects using “lighter than air technology.” The blimp building enterprise declared insolvency in 2002. Investors who had pumped $300 million Euros into the venture were likely deflated when CargoLifter sold the giant tin can to Tanjong, a Malaysian company, for a mere 20 percent of construction costs. The Tanjong company debuted its Tropical Islands resort inside the Aerium in 2004. Its business model posited that if the resort could attract 1.25 million visitors per year, it could turn a profit. This happened for the first time in 2008, Wikipedia states, but only after Tanjong dropped the entrance fees substantially and added more cabins and huts for overnight guests. The annual reports online, Tropical Islands operated at a loss from 2006-2010, but the loss shrank by 67 percent. Emmett seems to think the place is viable. See here in case you need to be reminded of the story so far. I’m sure this is a great facility and the entourage will come away with some nifty ideas, but unless they include how to get the damn thing approved by the voters and funded by somebody, I’m not sure how much difference it will make. But hey, good ideas are good ideas, so who knows. 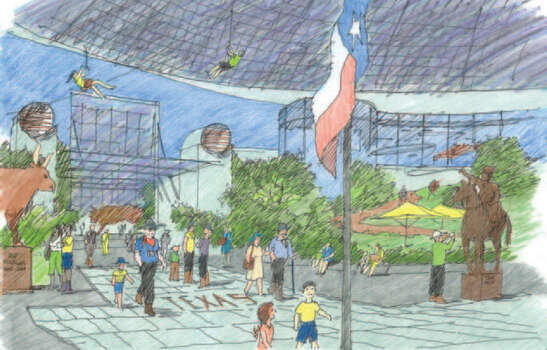 Feast your eyes on what the Urban Land Institute has in mind for the Astrodome. A final assessment by a group focused on sparing the Astrodome from the wrecking ball sets the price tag of reusing the iconic stadium at up to $242 million, and lays out a multi-step process to gin up the political will and business investment needed. The ULI panel said the next step is for local officials to flesh out a more detailed plan and see who is interested in joining forces. The group’s concept somewhat mirrors an idea Emmett pitched last year to convert the Dome into “the world’s largest indoor park,” the latest in a 12-year search for a way to reuse the aging and deteriorating stadium. Previous ideas have included an indoor amusement park, film studios, even razing it and creating a green space amid acres of parking lot outside NRG Stadium. None of the ideas to redevelop the site has included what officials deem credible financing. The ULI report is an extension of a December presentation where a national panel of preservationists proposed turning the former home of the Astros and Oilers into an indoor park and commercial complex while adding parking at the surrounding NRG Park. The 40-page report estimates more than half the cost, $126.6 million, would be borne by retail and commercial development within the 450,000-square-foot building. The ULI proposal, the latest in a handful aimed at finding a use for the “8th Wonder of the World” before it crumbles into the ground, is more expensive than a county proposal voters rejected in 2013 to spend $217 million in bond money to convert the Dome into convention space. “The past bond referendum did not provide enough detail about the redevelopment programs to the citizens, which, from the panel’s perspective, was part of the reason the bond failed,” ULI’s team said. Emmett, a vocal supporter of saving the Dome, said it is crucial people understand public agencies and the private sector will partner on any plans. He shied away from discussing final costs. See here for the background, and here for the report itself. It’s not very different from the preliminary report in December. Jeff Balke is not impressed. The problem is the ideas weren’t all that creative or bold, and they came from disparate parties without any central, nevermind determined, leadership. And there are legitimate questions that spring to mind when reading the 40-page report: Who are these 75 mystery tastemakers they surveyed? How were they chosen? What is their stake in this process? That’s worth knowing when you consider the $243 million price tag the group estimates a project like the one proposed with cost. At least this time, the recommendation is a public-private partnership given the fact that every private investor who has come forward with a big idea has been more about trying to get the county to fund their venture. The idea of funding renovations with public money hasn’t fared much better and has been met with skepticism from residents who clearly want to save the Eighth Wonder of the World, but only if it is really the right idea. Unfortunately, no one has managed to come forward with something to inspire the voters and, speaking of skepticism, I’m not certain this plan is going to light any fires either. Perhaps the bigger issue is handling the other tenants of NRG Park. It’s no secret that were the Rodeo and the Texans to have their way, the Dome would have long gone from architectural marvel to rubble to additional parking spaces. Both have, since NRG Stadium was built, regarded the Astrodome as a nuisance rather than a historical landmark. That is why it is both disappointing and unsurprising that the ULI’s report leans fairly heavily on making those entities happy. Frankly, who cares what the Rodeo or Texans want? The public spent hundreds of millions of dollars on NRG Stadium and the surrounding park and the biggest benefactors are the tenants, not the taxpayers. Generally, you don’t ask your tenants for permission when deciding to make changes to your property, but that is clearly not the case here and there are plenty of goodies in here for both. There’s also the whole indoor park concept pushed by County Judge Ed Emmett and, naturally, a tip of the ol’ ten gallon hat to the oil interests via the space for the OTC. It’s a patchwork quilt of ideas shoehorned into one concept that feels less like a vision for the future than a way to placate a bunch of people who probably shouldn’t have a say in the matter in the first place. I agree, the ideas are familiar, but I’m OK with that, as I think they’re also good ideas. The accommodation of the Texans and the Rodeo is an acknowledgement of political reality. The question, as always, is how to get the funding. Maybe having the Texans and the Rodeo on board – by which I mean, actively campaigning in favor of any future referendum to spend public money on this – and maybe having other money in hand up front will help. I don’t know how many more shots we’re going to get at this. Harris County Judge Ed Emmett makes his eighth State if the County address. In his eighth State of the County address, Emmett had choice words for both Austin – which is weighing a reduction in property taxes that form the backbone of county revenue – and for Houston – which has adopted a strategy of limited annexations of suburban areas but Emmett said will not adequately provide for its poor. “County government must have the tools and resources necessary to improve those areas because I do not see a scenario in which the city steps up and improves the situation,” Emmett said at NRG Stadium to several hundred business leaders brought together by the Greater Houston Partnership. A city spokeswoman said the limited annexations were two-sided agreements with utility districts, not city land-grabs. Emmett nevertheless called for a “new model of urban governance” that would work for a booming unincorporated Harris County that is becoming increasingly urbanized. The county judge expressed concern that the unincorporated part of the county could struggle to provide health care for its indigent and build roads and railways for its economy. Harris County, which soon will have more people living in these unincorporated areas than in Houston, has been mischaracterized by outside groups and policy makers as merely an urban core, Emmett said. The city’s governance plan has included limited-purpose annexation of unincorporated areas. Those agreements strip suburban areas of possible revenue, and Emmett said he was prepared to spend some political capital to fight the city as it tries to bring neighboring areas into its jurisdiction. The state also should take some responsibility for health care for the indigent and the mentally ill, Emmett said, rather than relying solely on county resources. Here’s the full text of Judge Emmett’s address. Just as a reminder, expanding Medicaid (which Judge Emmett supports) would go a long way towards addressing those needs. I don’t know enough about the annexation issue to have a strong opinion about it, but I wonder if going back to doing more full annexations might be a better way forward. As for the threat to the county’s revenue stream coming from Austin, the main problem there is too many Republicans in Austin that don’t really care about governing but are there to implement an ideological agenda. The Judge’s suggestion is for more November voters to get involved in the primaries. That may help, but I’d point out they could also make some different choices in November, too. Anyway, the end of the speech was about the Astrodome and the ULI plan for it. Whatever else happens, here’s hoping that gets some traction. The original championship banners for the Rockets and the WNBA’s defunct Comets remain on display at Toyota Center, as do banners saluting both teams’ representatives in the Naismith Memorial Basketball Hall of Fame. After that, Houston’s legacy of pro sports banners gets a little fuzzy. The latest collection of banners to depart the city left in 2013 with the Aeros. The minor hockey team was moved by the NHL’s Minnesota Wild to Des Moines, Iowa, when the team could not reach agreement on a new Toyota Center lease with the Rockets. Team officials said the Aeros’ 2011 banner for winning the American Hockey League’s Western Division title is on display at the Wild’s training center in Des Moines. As for the other Aeros banners, they are presumed to be in storage in the Minneapolis-St. Paul area, although team officials could not provide details on their location. A team spokesman, in fact, was not familiar with any banners that existed other than the 2011 flag. Regardless, Toyota Center once was home to banners commemorating the 2003 Calder Cup title, the 1999 International Hockey League Turner Cup title, the 1974 and 1975 Avco Cup titles won by the World Hockey Association team, and the retired No. 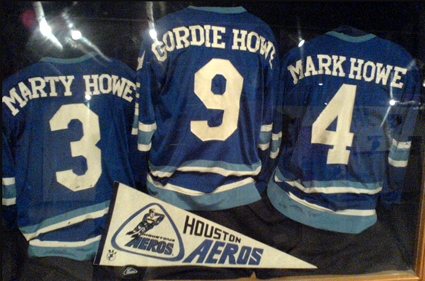 9 jersey worn by Hall of Famer Gordie Howe, who played for the WHA Aeros. There was no indication whether the banners were sold during the Astrodome “garage sale” in 2013 and, if not, whether they still are stored somewhere within the building. Similar questions surround the Oilers’ championship banners and retired number banners. The Oilers left Houston after the 1996 season for Nashville, Tenn., and a spokesman for the Tennessee Titans said the Oilers banners have not been seen in storage in Nashville. So thanks to two relocated (and renamed) franchises plus one that changed its home stadium, a lot of tangible pieces of Houston’s sports history are at best in unknown locations. The obvious solution to this would seem to be a local sports museum, whose first task would be to try and track down these things that no one will admit to having at this time. Maybe this story will be a catalyst for someone with the money and the inclination to pursue that. Until then, at least we still have people who remember that these things did once happen. This was not a presentation of, “well, if the all the stars line up you might be able to make this work.” The theme was more, “this is an absolutely incredible opportunity and you would be fools to not seize it.” In fact, Tom Murphy, former mayor of Pittsburgh, was the anchor speaker and threw down the gauntlet, challenging us to step up to the plate, think big, and make this happen. Brilliant putting 1,500 to 2,000 parking spaces in two levels at the bottom of the dome’s bowl, which makes it a lot easier to sell to the Texans and Rodeo. In general, they said they bent over backwards trying to accommodate their needs, as well as the OTC. They smartly called for refreshing the different tenant agreements at NRG Park, rather than just trying to stay within their limits that never envisioned re-purposing the dome. Clever idea of making a good part of the interior green space removable like the turf trays at NRG Stadium. That allows it to be converted to hard floor space for events like the OTC, or a dirt floor for the Rodeo. They did look at using it for fixed-seating concerts/events, but determined there were already plenty of venues in Houston for that, so that functionality was not included. There certainly may still be concerts in there, but they will be more of the festival lawn variety. They very explicitly did not recommend a replacement for the NRG/Reliant Arena, whose functionality they believe can be included inside the revamped Astrodome. Boom – $150 million saved right there! That may give the Rodeo a little heartburn, but – as I’ve said before – it’s the right call. In any discussions of finances for this, that $150 million savings of an Arena replacement should absolutely be factored in, including communications with the public. They mentioned a ballpark potential cost number of $200 to $300 million (a bargain compared to similar scale projects elsewhere, they said), which means the Arena savings gets us more than halfway there! They believe it might be possible for operating costs to be covered by revenues, so it won’t be an ongoing burden. The capital costs are the trickier part, although they laid out a lot of options there. Overall it was far better than I had hoped or expected. The plan calls for an oak-lined promenade leading from the METRO light rail station on Fannin to the Astrodome, which will be repurposed into the “world’s largest room” on the third floor of the structure — “a grand civic space in which to shine,” said Amy Barrett, a South Carolina urban planner. The grand space could be used for a variety of functions including, but not limited to, a park, sustainable farm, farmer’s market, festivals and museums with an educational component. The top area of the Dome could include a viewing area as well as an Adventure Park, with zip-lining, hike-and-bike trails and indoor rock climbing. The plan calls for the first two floors of the Dome to be converted into a parking garage for more than 1,500 cars, including spaces large enough for horse trailers and large vehicles, providing a source of steady revenue. Other sources of income could come from naming rights to various areas of the complex, sponsorships and admission charges for the Adventure Park and other attractions. Additional funding sources could include solicitations from philanthropic organizations, federal and state grants, joining the city on a TIRZ district, seeking a share of hotel occupancy taxes, and a county bond issue, if necessary, ULI panelists suggested. They were hard to pin down on the potential cost of the project, although one said it could be in the $200 million to $300 million range. The panel made special efforts to address the concerns of two major tenants at NRG Park — the Texans and the Rodeo. They emphasized that the repurposed Dome could provide additional opportunities for the Texans on game day and for the Rodeo during the month of March. A Rodeo representative said they were studying the plan; a Texans representative declined to comment. See here for the background and here for the full Urban Land Institute report. What I like about this is that they’ve directly addressed the concerns that the Rodeo and the Texans have brought up before, because getting those entities on board will be critical to success, and while there’s still a lot of “could be used for” language there’s also a lot of specifics. Tying the space in to the Rodeo and football game day experience is a good idea as well, and I have to agree in looking over the document again that it’s got some bold, big-thinking ideas. I got a little excited imagining it, and that’s not something I’d have said before. We just might finally have a winner here. What do you think? Next City has more. Is this, at long last, The Plan for the Astrodome? The iconic, yet aging Astrodome is worth saving from the wrecking ball and could find new life as a massive indoor park and green space, a national land use group said Friday. A panel of experts with the Urban Land Institute released a preliminary proposal for the former Eighth Wonder of the World that would convert it into a public space that includes an indoor lawn, outdoor gardens with a promenade of oak trees, and exhibit space for festivals and community events. It would also include a play area with zip lines, trails and rock climbing walls. “The Astrodome can and should live on,” said panel chairman Wayne Ratkovich, president of Los Angeles-based Ratkovich Co., which specializes in urban infill and rehabilitation projects. The panel that included urban planners, designers and economists from around the country, spent this week interviewing stakeholders and Houstonians about the former home of the Houston Astros. It presented its preliminary findings at a public meeting at the NRG Center and will present a final report to Harris County within 90 days. The study by the non-profit education and research institute was paid for by the Harris County Sports and Convention Corporation and a grant from the National Trust for Historic Preservation, which named the Astrodome a National Treasure in 2013. While the costs and details were not firm, the panel agreed that the structure is worth saving. The panel proposed a public-private funding structure that would include a mix of philanthropy, historic tax credits, hotel occupancy tax funds, money from tax increment reinvestment zones and county funding, possibly in the form of a bond proposal. 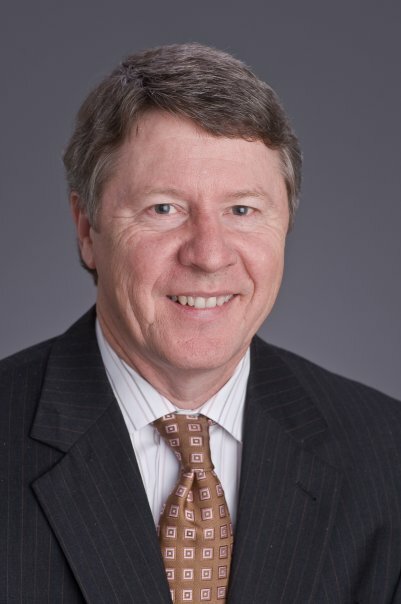 Harris County Judge Ed Emmett, who previously proposed an indoor park idea, said he did not know if the proposal would require a bond initiative to fund. Yet, Emmett said, the proposal has an “almost 100 percent chance” of succeeding. Ideally, Emmett said, a portion of the park project would be completed in time for 2017 when Houston hosts the Super Bowl at NRG Stadium. You can see the presentation here. The ULI got involved in September. The plan is basically a synthesis of a number of ideas that have been advanced before, and there is a lot to like about it. As has always been the case, the question is how to fund it, and how to get public support for it if it comes to a vote. The one bit of recent polling evidence that we have is not positive on that latter point, but we haven’t had a plan that everyone with a stake in it has bought into and worked together to sell. If Commissioners Court and the Rodeo and the Texans and the preservationists are all on board and pulling in the same direction, we could have something. I don’t know how big an “if” that is yet, but we’ll see. What do you think of this?